Looking for a clean strong step on your lifted Jeep Wrangler JL? 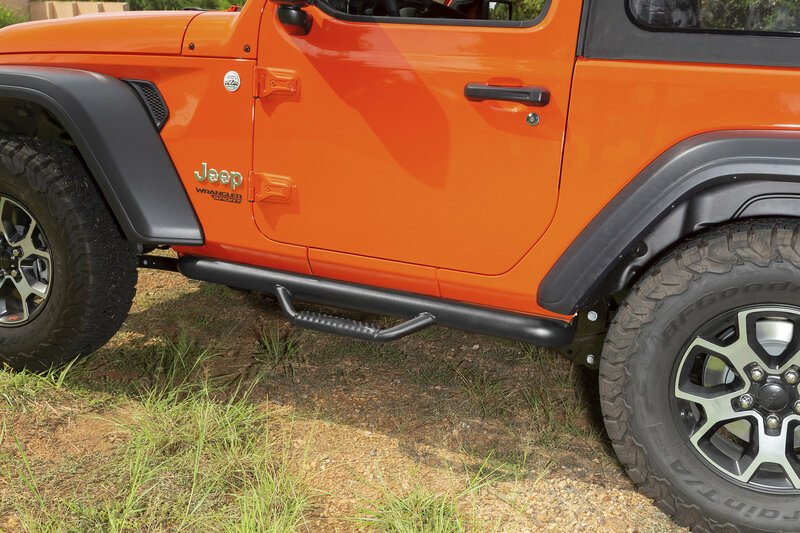 The Rugged Ridge Spartan Nerf Bars will provide you with a practical drop down step at the door opening making for an easy entry. Built tough from a .084 steel wall tubing and finished with a 3-stage textured powder coat finish. 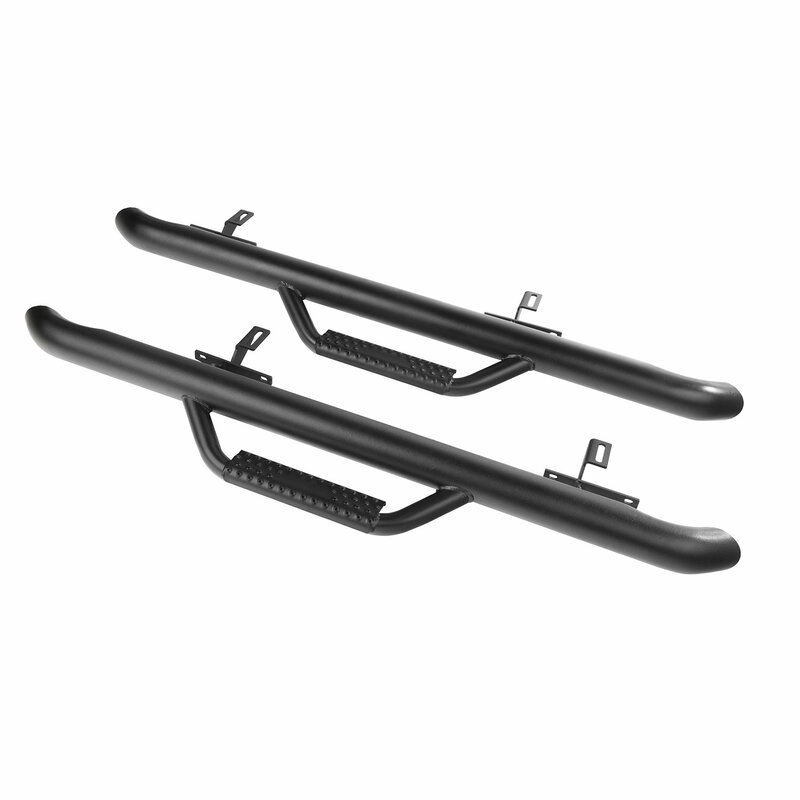 The Spartan Tube steps will also give protection to your rocker panels in case you happen to side swipe an obstacle. 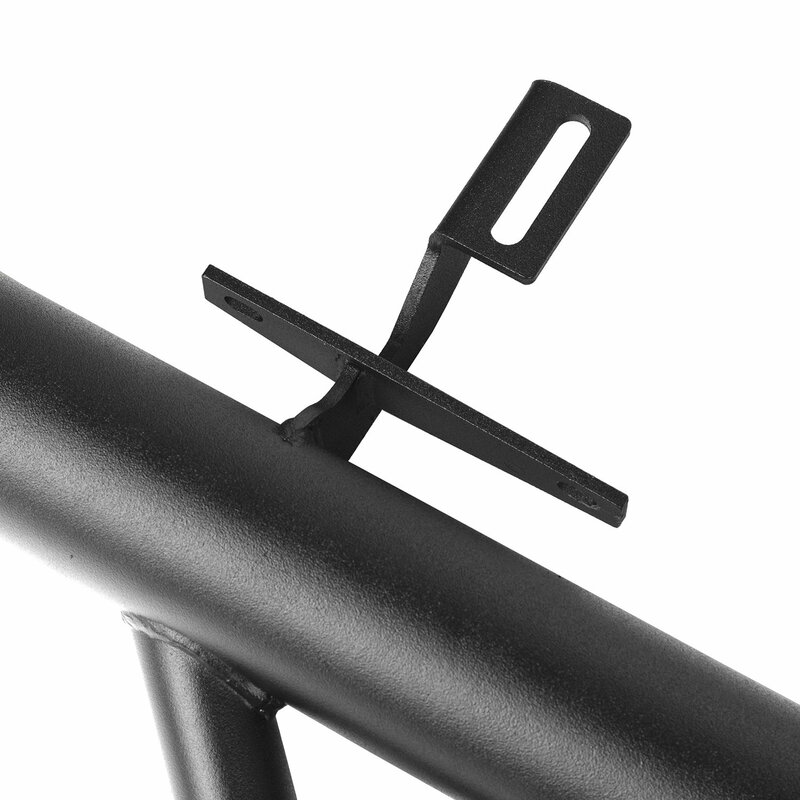 Strong Design: The main tube is a 3 inch diameter built from a .084 wall steel tubing. Easy Entry: Providing a drop down tube with a flat textured stepping area. Giving you a non-slip surface that will make entering your vehicle safe. 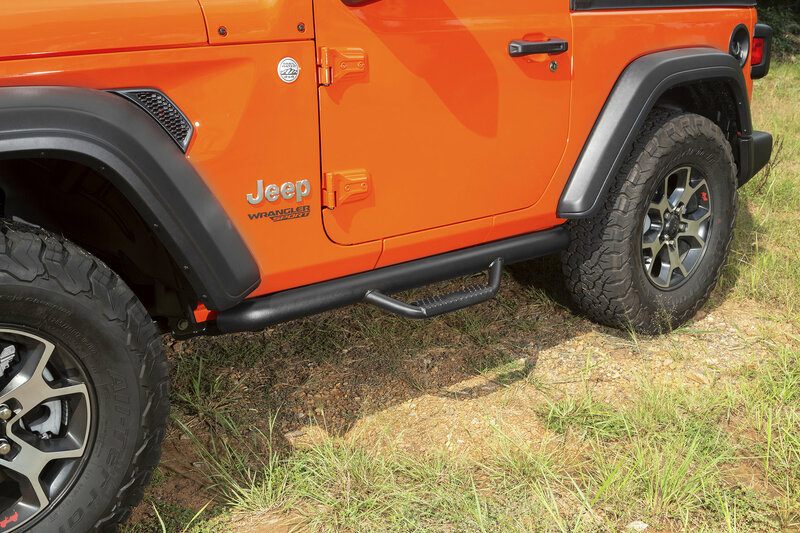 Additional Protection: The 3 inch round tube runs the full length of the rocker panel on your 2 door JL giving you protection and a clean look. 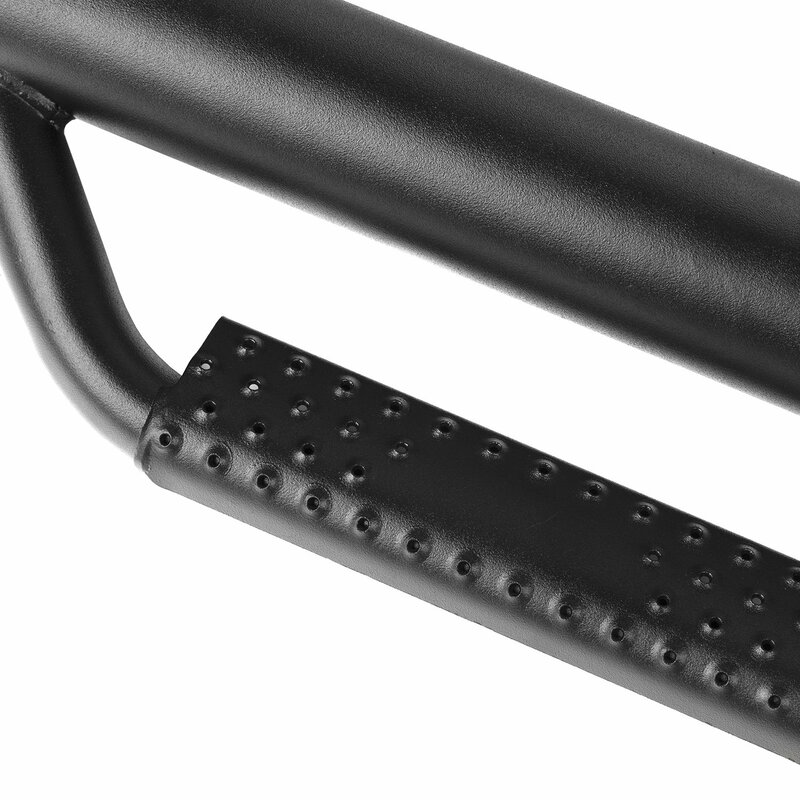 Direct Fitment: Mounting to factory original holes with no drilling required making for an easy installation. they look great. the area you put your foot on is a little slippery, and i agree on the other review about the ends being non-capped. not sure why they didn't put a cap on the openings. i am guessing they will fill up and rust out eventually. time will tell. Bars fit and look great, but are hollow from end to end. This leaves an opening on each end for water, mud, wasps, etc to enter the bars. Leaving the ends open is a poor design.